· Fresh during the harvest season (December to February) or frozen throughout the year. · Fresh blueberries are provided either in 125g punnets in trays of 28, or in 250g punnets or in 500 gram containers, at market prices. These are available at the farm or can be ordered. We deliver weekly to Denmark (Tuesdays) and Albany (Wednesdays). Please contact us for further information. · Frozen blueberries are available throughout the year at market prices. Again these can be picked up during opening hours at the farm during the season, at the Albany Farmers Market every Saturdays from 08:00 to 12:00 or by arrangement out of season. We deliver weekly to Albany and Denmark. 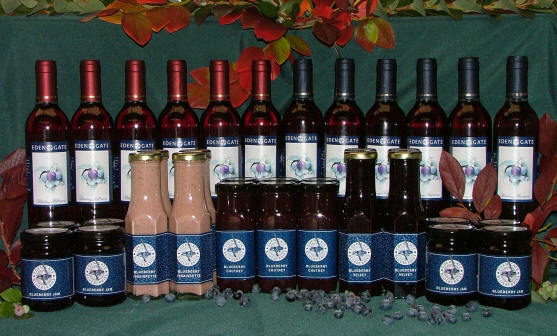 Blueberry liqueur is a delicious, refreshing alternative to grape wine. It has beautiful berry character. A major attraction of blueberry liqueur is that blueberries do not contain histamines, those natural chemicals in grape wines that cause so many people to suffer from hay fever, headaches, and rosy red faces. It is however alcoholic, so will still cause a hangover if you over indulge. 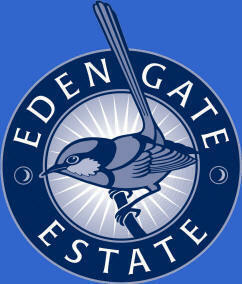 Our products are made on site in our licensed commercial kitchen. Only the non-perishable lines are available by mail order or over the net. · Blueberry Muffins An ever popular favourite. Amanda's muffins are the best you will ever try. Enjoy them in our outdoor setting, served hot from the oven with tea or coffee, or take them away to enjoy later. · Blueberry Ice cream Absolutely guaranteed to satisfy the most devoted ice cream connoisseur, but beware the calories and the addiction. Made from fresh blueberries, cream and local eggs.